Put your best foot forward for both work and play. These anti-microbial Socks keep high-activity feet feeling fresh for the duration. Extra tall for tactical or hunting boots. Made to strict U.S. military specs. 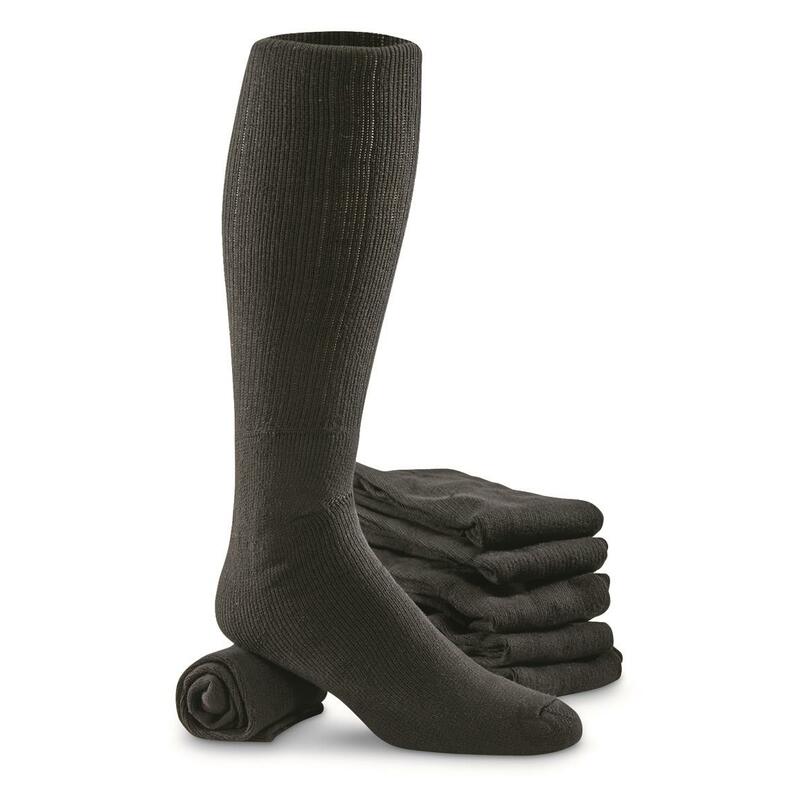 U.S. Military Surplus Silver Anti Microbial Socks, 6 Pairs, New is rated 4.0 out of 5 by 1. Rated 4 out of 5 by SENC from Good high boot Sock The socks are well made, and come up on to over the calf. Good cushion, material looks like it will last. Reasonably warm, and feels good on the foot and calf. The construction is kind of like a crew sock (which I assume to be the antimicrobial part) that is sown into a boot sock. It works except the stitching around the top of the crew sock part does not expand very well. So that part of the sock can be difficult if you have a high instep.My problem is that I have a very high instep, and for me they are really difficult to get on and off because of my big ankle to heal instep. I would have given five star if that were not so difficult for me.I definitely recommend these socks, but with a caution for people who have a high instep.